It's always fascinating to learn about new cool things users create with Plexus! James Ramirez and Heather Brantman liked working with Plexus so much, that they've decided it would be really cool to have some of the text animations as an actual font. 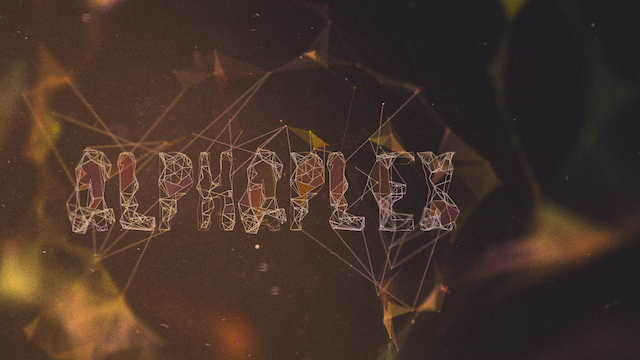 The result is this cool abstract typeface called ALPHAPLEX. Best of all, they're sharing it with everyone for free! James talked about the reason for creating the font and also the process involved. Last year while working on the Assassing's Creed Initiates animation, another artist (Heather Brantman) and I thought it would be amazing if some of the text animations created in Plexus could be an actual font. We took a previous in-house font (Chadwick) and created various Plexus versions of the font. The result is a carefully curated and edited version of the Plexus foundation and turned into a clean and abstract new font. We really hope people enjoy it as much as we enjoyed creating it!. Here is the Assassins Creed Initiates Launch Trailer, James was talking about. You can follow James on his blog, Twitter or Vimeo.